Call our bed and breakfasts inn today! Are you looking to get away from the hustle and bustle of everyday life? Go back to a simpler time with our bed and breakfast! At the Wild Plum Inn, we want to help people to relax, slow down and to enjoy every moment. No matter if you're looking for an intimate weekend away at a bed and breakfast inn, or you're looking for quality catering for your next event, we can deliver. We provide customers from the Lubbock, TX and Amarillo, TX area with a bed and breakfast inn that takes you back in time. From our nineteenth century decor to our antique furniture and chandeliers, we will transport you to a simpler, more elegant era so that you can relax, unwind, and enjoy. Our bed and breakfast has been redesigned to give our guests the comforts of home and the services of a boutique hotel. Breakfast at our chef’s table is included with your stay. Kick back during our evening happy hour with other guests and locals for a relaxing experience. Plus, we’re centrally located close to popular hotspots. Once you’ve stayed with us, you’ll see why our bed and breakfast is a top choice for guests looking to visit the Amarillo, TX area. Even better, our bed and breakfast offers a great getaway for a low price. Our rooms offer guests the privacy & peace and quiet they desire. Our bed and breakfast also provides more personalized service including a delicious breakfast. If you are ready for the perfect romantic getaway, The Wild Plums is the perfect place. Use Our Bed and Breakfast Inn for Any Event! Our bed and breakfast isn't just for couples. 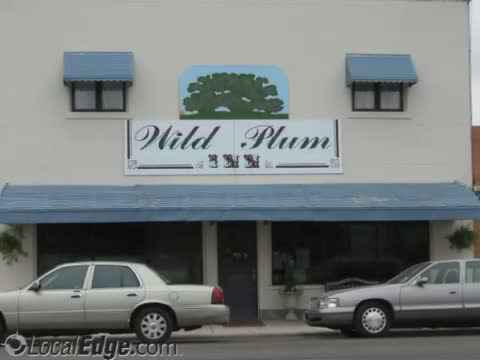 The Wild Plum Inn makes a gorgeous venue for all kinds of events. Hold your wedding here and bask in the simplicity and the peacefulness away from Lubbock, TX. Hold your bridal or baby shower with us for a unique twist on a classic event. Book our bed and breakfast inn for your business or spiritual retreat. Or trust our catering service for your Mother's Day brunch. Whatever you need, we're happy to help you to relax and whisk you away to a simpler time. Whatever kind of party you are hosting, no matter the size, we can cater to your needs! Book a room at our Bed and Breakfast Inn today! People love our catering services. When you enjoy a meal at the Wild Plum Inn, you'll find yourself craving our delightful cuisine. There's good news, we offer catering services! Whatever the gathering, we can provide the catering. With our dedicated service, we will have your guests talking long after your event ends! It doesn't matter how big or small your event is; our catering team will be there to provide food that your guests won't soon forget! Call us for catering if you are in the Amarillo & Lubbock, TX or surrounding areas. We are happy to be your event caterers! The Wild Plum Inn bed and breakfast combines the simplicity of Victorian hospitality with the myriad conveniences of modern life. Our rooms, all uniquely charming, come with private baths. Take time to browse the period furnishings found throughout the Wild Plum Inn, including your very own antique Victorian bed, which has been altered in order to be every bit as spacious and relaxing as a modern day bed. We offer a comfortable and fun experience for individuals looking for a bed and breakfasts inn. We are conveniently located in Amarillo, TX. Whether you are visiting for business or simply to get away from the daily grind to have some time to relax, we have you covered! We offer the best amenities at unbelievable prices. If you need more information about our wide range of services or pricing, contact our bed and breakfasts inn today. Our bed and breakfast inn is perfect for those who are in the Lubbock and Amarillo, TX areas, looking for a place to stay. If you are familiar with our food, or enjoy it for the first time upon visiting, then our catering service is for you! We hope you enjoy your stay at Wild Plum Inn! Get away from it all at our bed and breakfast. When the hustle and bustle of the modern world gets to be too much, our Victorian-era hospitality and atmosphere can help you to truly relax. Escape to Olton from Lubbock or Amarillo, and you'll be amazed at what you find. There's nothing like our bed and breakfasts inn! We also offer a catering service for those who appreciate the finer things. From weddings to bridal showers to graduation parties, we offer fantastic foods that will have your guests talking for weeks to come. Call the Wild Plum Inn today!